Is this the return of our favorite YouTube comedian?? Liza Koshy took a break from her usual YouTube grind in 2018, stepping away from the spotlight to focus on her own personal growth. She alluded to this in her and David Dobrik’s famous breakup video that has been viewed over 49M times. Liza has found incredible success on YouTube, racking up over 16M subscribers on her main channel, and 7.5 M on her secondary channel Liza Too. She additionally kicked off her YouTuber Original show, Liza on Demand. Liza has received four Streamy Awards, four Teen Choice Awards, and a Kids’ Choice Award. She is a member of the 2019 Forbes 30 Under 30 Hollywood & Entertainment list. 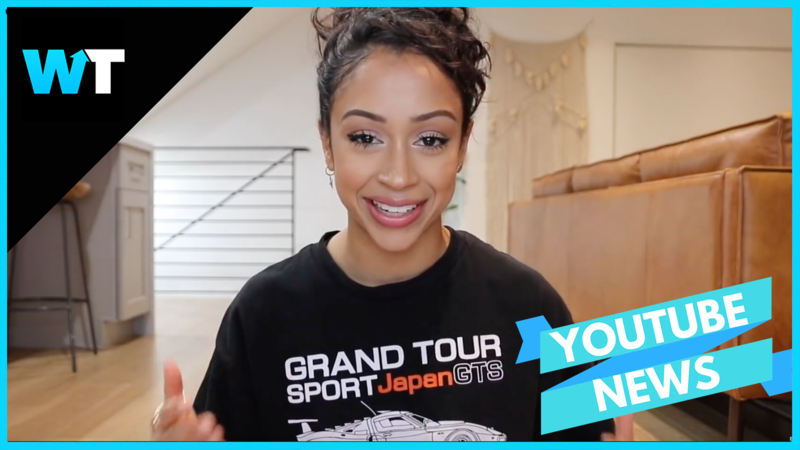 But like many YouTubers, Liza hit a burnout period and decided she needed to step away to focus on her mental health. In her comeback video, Liza shared what she learned about sharing her feelings, and the benefits of therapy. Taking a break from the internet is definitely a good move for anyone struggling with their mental health. Plenty of YouTube creators have taken a break, including Lilly Singh, Pewdiepie, and JackSepticeye. And fans are typically very supportive of their favorite creators taking some time for a creative rejuvenation. Then Liza gave her fans a little teaser saying that she’s been filming content all year and will be releasing it soon. Are you excited to see Liza’s new content? Let us know in the comments or on Twitter at @WhatsTrending.